Looking like something out of a fairy tale that was frozen in a glacier. This Buddhist temple has no color whatsoever, making it appear ethereal against the blue sky. 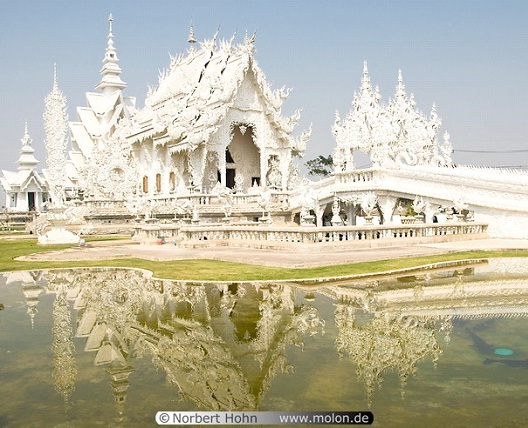 Artist Chalemchai Kosilpipat designed this shrine, adding sculptures and mosaics to his masterpiece.